Miss Rodeo America is just like the Miss USA pageant without bikinis. The pageant itself consists of a reining pattern, written tests about all aspects of horsemanship, impromptu questions from the judges, professionalism and AmeriCup rules and regulations. You should see the book they sent us—you could knock someone out with it! As a rodeo queen I want to open more doors and opportunities for rodeo in Hawaii. Since we’re on an island, it’s a lot harder for the kids to travel to rodeos, than it is for the rodeo competitors on the mainland. I’d love to help kids get more chances at competing on the mainland. 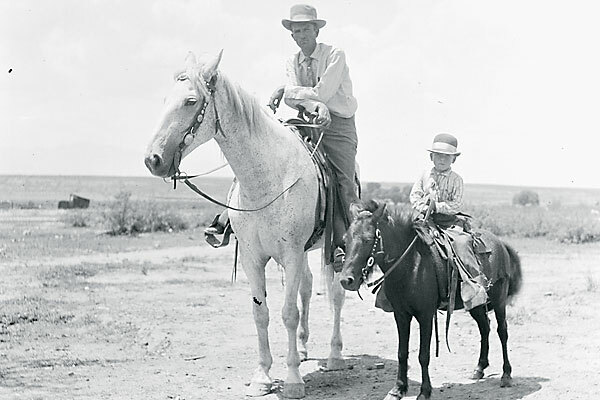 Paniolo heritage is the pride and history of ranching in Hawaii, full of the aunties and uncles who paved the way for the future generations to come, while instilling old traditions along with the new ones we bring to the sport. Aunties and uncles aren’t blood-related aunts and uncles. In the paniolo culture, it’s a sign of respect to refer to elders that way. The horse community is small in Hawaii, so everyone is close and knows each other. My favorite mountain trail ride is in the Ka’a’awa Valley, which offers breathtaking views of the Kualoa Mountains and the Pacific Ocean. I have fond memories of Parker Ranch. My high school state finals were held at this working cattle ranch, which dates back to 1847. (I qualified for nationals.) The finals, held every June, is a big thing for us down here, as far as rodeos go. We don’t have that many big rodeos for kids to compete in. 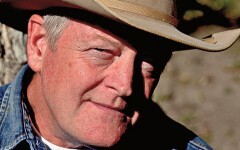 My horse Penny is a 21-year-old registered Paint Quarter Horse. We owned her mother when she was pregnant with her. She’s the princess. I’m not going to lie; she looks pretty good for her age. I used to work at Kualoa Ranch in the horseback trail ride department a few years ago. They offer great tours: ATV tours, jungle expedition tours, horseback riding tours. I recommend it to everyone who is looking for adventure in O’ahu. If the beaches aren’t crowded, it’s a pretty safe bet that you’ll be able to ride your horse along the ridge on Oahu’s North Shore. Most people don’t realize that I don’t know how to surf. No clue. None. The waves are huge! I’ll stick to dry land. My love of rodeo stems from my parents. My dad was a team roper, and my mom was a barrel racer. My boyfriend also team ropes. My mother taught me that integrity means everything. My heart will always be at home in Kaneohe. I wouldn’t mind living on the mainland for a few years, but everyone who moves there always comes back. I took some barrel racing and horsemanship lessons from Marlene McRae, who was a barrel racing world champion and Olympic gold medalist. She taught a few clinics in Hawaii while I was in high school. My trainer always says winning isn’t everything. The official lunchmeat of Hawaii is Spam. Spam and rice is our version of meat and potatoes. What history has taught me is that it always repeats itself. 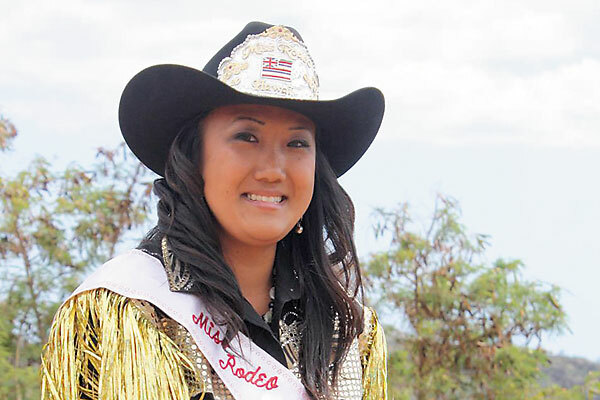 At the age of 25, Taylor Wong was crowned Miss Rodeo Hawaii on April 17, 2010, at the Diamond J Ranch arena in O’ahu. Wong is a member of the Hawaii Women’s Rodeo Association (and a past member of the Hawaii High School Rodeo Association), the Hawaii American West 4D Barrel Racing Association and the U.S. American West 4D Barrel Racing Association. Currently an accounting major at Windward Community College, she is looking forward to representing Hawaii’s paniolo heritage at the National Miss Rodeo America Pageant in Las Vegas, Nevada, this December. At the age of 25, Taylor Wong was crowned Miss Rodeo Hawaii on April 17, 2010, at the Diamond J Ranch arena in O’ahu. Wong is a member of the Hawaii Women’s Rodeo Association (and a past member of the Hawaii High School Rodeo Association), the Hawaii American West 4D Barrel Racing Association and the U.S. American West 4D Barrel Racing Association. An accounting major at Windward Community College, she represented Hawaii’s paniolo heritage at the National Miss Rodeo America Pageant in Las Vegas, Nevada. 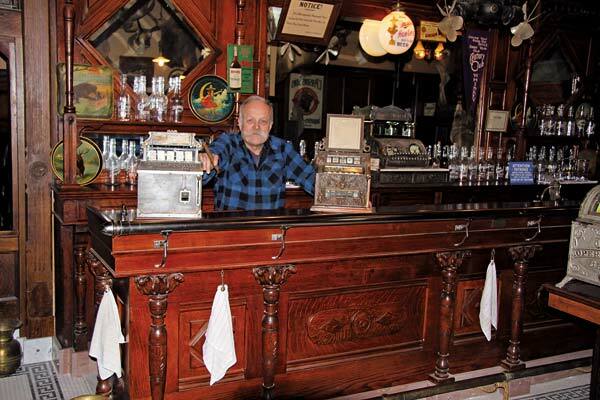 The Saloon Keeper No, he doesn’t tend bar; Roger Kislingbury collects the hardware and histories of frontier saloons. Dude! Where’s My Ranch? Celebrating the kids who are saving our ranching heritage.